Lund is one of the oldest cities in Sweden. When it was founded as a Danish city in year 990 it was situated 5 kilometres further south. The city became a Bishop's Seat in Denmark in 1060 and Arch Bishop's Seat in Scandinavia in 1033. Studium Generale in Lund, Denmark's and Scandinavia's first university was founded in 1425. The city became Swedish in 1658 and about ten years later the University of Lund was founded. The university dominates life in Lund. 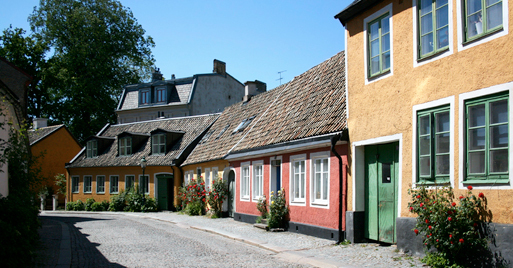 You travel here to experience student life, see a beautiful city, and to visit "Kulturen i Lund" which has a large collection of one of the foremost gay artists in Sweden, Gösta Adrian-Nilsson.